Violence on the Black Body: Ta-Nehisi Coates’ Between the World and Me acts as a memoir to the suffering of the black masses in America. In Coates’ writing of the National Book Award Winner Between the World and Me, he does not hold back on showing his anger at the livelihood of a black man in America, highlighting the dangers and stresses he has personally faced as one in the mass of people victimised in America. This anger percolates each sentence in his letter addressed to his son Samori. Coates uses the epistolary form effectively, telling of the differences between Coates’ own youth and upbringing and that of his son, and yet there is a constant insecurity of being black in contemporary America – something that Coates doesn’t see changing. Ta-Nehisi and son Samori Coates in the summer of 2013. That was the week you learned that the killers of Michael Brown would go free. The men who had left his body in the street like some awesome declaration of their inviolable power would never be punished. It was not my expectation that anyone would ever be punished. But you were young and still believed. (Coates, 11). Coates furthers upon his argument by averring that he “didn’t hug you… comfort you, because [he] thought it would be wrong to comfort you. [He] did not tell you that it would be okay, because [he had] never believed it would be okay.” (Coates, 11). In directly addressing his son, and the reader, Coates delivers his view on the injustice that permeates American society. His frank declaration on the objectification of the black body – that which has never been, isn’t and never will be secure – highlights the mentality of the black male (or female) as one with a rendered sense or lack of identity, powerless to the white aggressor. Henderson recognises the power of America’s coloured past acknowledging that “the legal and social discourse of slavery created a national language for the propagation of mythological half-truths and socially sanctioned phobias about African men. Their progeny, descendants of this legacy, inherited a birthright unlike any other group.” (Henderson, 139). These phobias relate to Coates’ writings on the commodification of the black body as something that does not belong to the rightful owner. Coates recalls an incident in his childhood of a “light-skinned boy with a long head and small eyes” (Coates, 19) who by holding a gun was also “holding [Coates’] entire body in his small hands” (Coates, 19). Coates’ identity is stripped away from him as he is reduced to a tool or a weapon. Coates’ mind-set equates his black body with the gun in someone else’s hands. We could not control our enemies’ number, strength, nor weaponry… But whether you fought or ran, you did it together, because that is the part that was in our control. What we must never do is willingly hand over our bodies or the bodies of our friends. (Coates, 69). Here Coates shows the overwhelming force against the black body as singular and definitive. Yet he believes in the community of black individuals that are brutalised together. Furthering this, he personifies slavery as a “particular, specific enslaved woman, whose mind is active as your own, whose range of feeling is as vast as your own.” (Coates, 69). By personifying slavery itself, Coates shows how each person in the black diaspora of slavery was an individual, and “not an indefinable mass of flesh” (Coates, 69). Coates echoes the idea that “Black people’s humanity is a fairly new discovery,” (Jackson, 9) by linking the past of slavery with the current treatment of the black body in today’s society. He creates a living link between those who suffered and died in slavery and those of today who are still suffering and dying by oppressors. Coates’ writing acts as a memoir to the past, present and in his eyes future suffering of the black people in America. 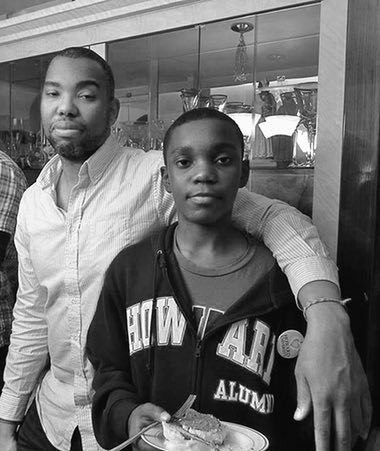 Coates argues against the treatment of the black body by highlighting the way actions of another will be irrevocably placed on his son, as he informs his son, “you must be responsible for the worst actions of other black bodies, which somehow, will always be assigned to you.” (Coates, 73). Here he shows the mentality of his oppressors that remove their individual identities in favour of a systematic ‘white and black’ duality. This duality of ‘us against them’ is a fragment of the “historical continuity here that speaks to the perpetuation of the white racist imago of the Black body, where there is an attempt to ontologically truncate the Black body into the very essence of criminality, danger, suspicion” (Yancy, 7). The black bodies that Coates speaks of are never shown in a positive manner but inherently negative. His son shall carry the burdens (and the worst) that other black bodies have carried out. In Coates’ teachings to his son, the modern blanket term of ‘white people’ see no positives in the black body. Coates furthers his argument by stating that “race is the child of racism, not the father” (Coates, 7) and that white people are “a modern invention” (Coates, 9), a term that has “no real meaning… [as] the new people were something else before they were white – Catholic, Corisican, Welsh, Mennonite, Jewish” (Coates, 9). Coates undermines the base argument of racism through his condemning of the term ‘white’. If ‘white people’ are in fact something else such as Catholic or Corisican, then black people can be for once seen as human. Coates, Ta-Nehisi. Between the World and Me. Melbourne, AU: Text Publishing Co, 2015. Henderson, Carol E. Scarring the Black Body: Race and Representation in African American Literature. Columbia, US: University of Missouri Press, 2002. Jackson, Ronald L. Scripting the Black Masculine Body. Ithaca, US: SUNY Press, 2006. Yancy, George. “White Suturing, Black Bodies, and the Myth of a Post-Racial America.” ARTS, vol. 26, no. 2, 2015, pp. 5-14. “Ta-Nehisi Coates: ‘In America, It Is Traditional to Destroy the Black Body’.” The Guardian. Guardian News and Media, 20 Sept. 2015. Web. 27 Feb. 2017. <https://www.theguardian.com/books/2015/sep/20/ta-nehisi-coates-between-the-world-and-me-extract>. Coates, Ta-Nehisi. Between the World and Me. Melbourne, AU: Text Publishing Co, 2015. Pg 148. I was wondering if Coates doesn’t believe the black body will ever be secure in contemporary America, do you think this letter to his son is to reinforce that historical injustice is so deeply rooted in the historical and social network of America that it cannot be erased? If so, does this mean the only chance for liberation and security of one’s black body is only through escape to places like Paris? Or, do you think by drawing a distinction between his son and his own upbringing Coates is suggesting there is already a potential hope for future generations gaining security of their sense of self and body? If so, do you think this potential hope is belittled or made more powerful by the fact he calls for his son to struggle instead of dream? Hi Zara, thanks for the comment. You bring up an interesting point. I believe that Coates cannot see a secure future for the black body any time soon – a lot still needs changed before the black body can ever become secure in Contemporary America. Potentially Coates writes to his son in order to remind Samori of his historical past but not to re-live it. In that sense, Coates doesn’t want it erased ( think of his passage on slavery as an individual woman and not an “indefinable mass of flesh”). While he definitely highlights a potential escape through the idea of Paris, France, he also reminds us of each country’s own past as he mentions the angry Algerian taxi driver in Paris. That’s an interesting point in relation to telling his son to struggle and not dream. To struggle is something tangible and concrete while dreaming is almost abstract. He embeds his son in the truth – the black body in contemporary America has an upwards struggle, but one that can be dealt with through the support of his family and friends, as Coates states that they were his foundation. Hi Caolán, I really enjoyed this blog and it certainly encouraged me to acknowledge many of the underlying themes of ‘Between the World and Me’. You have picked up on the idea of the insecurity of contemporary black Americans and how Coates does not see this changing. I wonder if you think that there will ever be an improvement of the racial indifferences that permeate American society, or like Coates, do you think that this will never change? As you have described, the idea of the black body is central to the text, and it allows Coates to emphasise the brutality that his people face on a regular basis. The black body is used, abused and left on display, signifying the apparent lack of respect for black Americans today by those who are supposed to uphold justice in society, namely the police force. You have written about the “us against them” mentality, and Coates certainly creates a sense of this throughout ‘Between the World and Me,’ the title also being suggestive of a personal struggle with the rest of society. This text has been eye-opening for me with regards to the struggles that exist within contemporary American society, I hope it has been the same for you! Thanks for the comment, your point is really thought provoking. In an optimistic sense, I certainly hope there will be an improvement on the racial indifference that permeate American society, however I hold no beliefs that there will ever be a utopian society that will forget the coloured past and histories of the American people. I believe a lot has to change for there to be a more democratic and egalitarian society, not only with the oppressors but with the oppressed as well. Those in positions of power must reconcile their differences with the oppressed, own up to their mistakes and try to rebuild long burnt out bridges; meanwhile the oppressed must forgive (but not necessarily forget) about the past. However, this is quite a simplistic and idealistic (optimistic) outcome that doesn’t cover the reality of human nature. Humans are intrinsically emotional creatures with highly moral standards. Coates certainly highlights our human nature by showing his anger at the situation in American society today. He is angry, he is emotional and in one sense it clouds his vision. This sparks the question on if his vision is clouded, is that necessarily a negative aspect? Or is that just human nature, and we should unite under this emotional haze to highlight the injustice done, in the hopes that one day the cyclical nature of abuse will end? Coates personalises the struggle wholeheartedly. He tells of his own struggles while linking it to the struggles of other members of his community (think of how he mentions slavery as a woman with thoughts and feelings). While the answer is unknown, I believe it will be a long road in relation to dealing with these issues. Hey Caolán, this is a very insightful post! I’m very curious about the form of this work, especially. As you say, the epistolary form does seem to be used “effectively,” in a general sense, but why do you think Coates chose to frame this work as a non-fiction, extended letter to his son as opposed to a work of poetry or prose addressed more generally to readers? I know several critics (including a certain Morrison) attribute this to a successful emulation of James Baldwin, but do you think it goes farther than mimicking other famous works? If so, why and how? Thanks for the kind words! Coates, in my belief, chose to frame the work as non-fiction as a statement that the issues that arise in “Between the World and Me” are not fiction but in fact, a sad reality for the African-American community in America today. By showing these personal experiences, he isn’t creating a fictional story with characters that we can gain a cathartic experience from, but a real human that we empathise with, and their life experiences resonant with the reader. I believe he has framed it as non-fiction so that we, as readers, cannot escape his past, his present and in Coates’ view, his and his son’s futures. This is one of the ways he can try and alter the cycle of abuse – by writing about it, by exposing it, by sharing it. The epistolary format may well be a way to mimic great works such as James Baldwin, however I believe that diminishes Coates’ work in its own sense. I believe the epistolary format heightens the personal aspects of the racial inequality in American society. While Coates’ addresses it to his son, Samori, he addresses it to not only the African-American youth, but all the younger generations of the world. In this sense, Coates’ attempts to alter the younger minds that are not yet affected by the hatred and bitterness that has been bred into the older generations. Again, Coates’ attempts to break the cycle. You’ve noted the ‘us against them’ mentality of black racism, and the changing perception of the black body, with modern perspectives seemingly associating blackness and the black body with inherent criminality. Would you argue that this perspective of black people as criminal is an evolution of the colonial view of black people as genetically inferior? Moreover, with modern notions of race being socially-ingrained to such a degree, would you argue that society could ever truly be “post-racial”? Referring to my own blog post, I note that western (and certainly American) society is inherently white, and black people must conform to whiteness or risk standing out against the “harsh white background” of society. Simply put: do you believe perception of the black body will change for the better? Thanks for taking the time to read the blog and comment. I’m not sure if I would say that the perspective of black people as criminal is inherently an ‘evolution’ of the colonialist view on being genetically inferior, but I would link it to the past experiences that stemmed from the systematic and colonialist violence upon the black community in America. To begin to answer this question, we must look at the period in which violence on the community of black slaves originated. During this period it was unlawful for a black slave to try and escape slavery (as we’ve explored in previous weeks such as Whitehead’s “Underground Railroad”) then they were already marked as criminal. This (in hindsight) is now seen as a basic right in America, and that the ruling or allowance of slavery is indeed wrong. However at that time, society allowed it, and therefore the oppressive white community of slavers criminalised the black community for what they saw was unlawful. Fast forward to modern day America, and slavery does not openly exist. Yet it is very apparent that racism still does – it has evolved and changed as society has. Black people as a community are still faced with racism, just not in the form of slavery.If you take any number of the cases of innocent (often unarmed) black people who are shot by the police with no consequences on the murderers, it is apparent that those in power (now the system/police force) still criminalise black people. It is not an evolution, as it hasn’t evolved into something larger – but has potentially become more obscure and less easy to pin down (as with our hindsight on slavery for example). I hope that the perception of the black body can change for the better. The perception will have to change with society’s attitudes, and therefore it should be aimed at the younger generations (as I have stated in another comment), as this is one way that Coates’ attempts to resolve the problem as he addresses it to his son. I though t the part where you talk about Coates calling “white people” a modern invention, and the “overwhelming force against the black body as singular and definitive” (really enjoyed that sentence) was very interesting. What you write about ‘duality’, explains extremely well, the politics of identity as an often systematically violent process born out of metaphysically justifying the ‘self’ against the ‘other’. In doing so it also brings out its dialectical nature, which obviously means identities are not inherent and can be challenged by discourse–as Caotes does. If he takes issue with “historical continuity” i.e. a teleological understanding of history that “ontologically truncates” the black body into negative generalizations, then him looking back at history in the way that he does- in that particular sentence- seems slightly counter intuitive to me. If he argues white people were, for instance, Catholic or Welsh, before they were white people, it sounds like he is saying that one’s religious and national identity is almost a sort of ‘primal baptism’, if you will, that precedes the process of racial identity formation. And if “white people” has ‘no real meaning’, which I agree with, does whatever they were ‘before’ they were white have some ‘inherent meaning’, because that might just create its own set of complications. 1.) If you see white people’s legal/ religious identity as contingent, then is black people’s humanity contingent? 2.) If black people’s humanity is essential/ inherent then so are legal/religious identities- which, they are not. So identity formation is not metaphysically challenged completely, it’s just theoretically readdressed. How does this re-grouping of identities challenge the dehumanization of a people based identity politics? I am really sorry this comment is so long. And your post was extremely thought provoking! Thanks for the comment, it has really made me rethink some of my earlier points. I can see your confusion over Coates’ argument on the topic of one’s religious or national identity. It does create its own set of complications as you’ve rightly acknowledged, however, this is not the point that Coates aims to reiterate. By arguing that they are Catholic or Welsh takes away the racial aspect of it. Race is a concept borne from racism or as Coates states “race is the child of racism, not the father” (Coates, 7). Perry, in his essay “Teaching History in the Age of Black Lives Matter: Embracing the Narratives of the Long Struggle for Civil Rights” highlights that the battle here is a “fight for the right to be an equal citizen.” (Perry, 466) I believe that Coates’ point on a person’s identity being something before white is used as it isn’t that identity (of being Catholic or Welsh for example) that is creating a divide. It is the colour of one’s skin that is. By taking a racial aspect away from someone, you leave them as something else. Let’s put this into a real life example. A black man who follows Catholicism and lives in America will be our example. If we remove the tag of being ‘black’ from his identity, we simple have a Catholic American male. This example is then no different to a ‘white’ Catholic American male. Coates’ suggests removing the factors that differentiate us and divide us. I understand this logic is far from perfected, the points you raise on its legitimacy are indeed valid. I don’t believe black people’s humanity is contingent or contingent to a white person’s identity – that is almost reinforcing the supremacist power structure that Coates is fighting against. Remember that the claim “to black people’s humanity rests on seeing white people as intersecting groups defined by socially ascribed identities” is a claim aimed at white supremacists who have dehumanised the black community, so in a sense all identities (black and white) must be altered to adhere to allowing people to be humanised once again. Coates is attempting to bridge the looming difference of skin colour by suggesting we take away empty signifers like black and white people. The points you made are very challenging, and I’ll have to think and explore them further. Really enjoyed your blog! You have made some excellent points. In your opinion, does Coates ever acknowledge the intersection of various types of institutional oppression or does he see them as being affective in themselves? What I mean to say is, does Coates see a present intermingling between the oppression that is imposed by both ideological and repressive state apparatuses? You may find Althusser’s work on this useful if you are looking at this in your assignment. Furthermore, does Coates perceive the black body as being commodified merely in the eyes of the law, or does he venture beyond this? For instance, does he explore the role of the black body in the precarious state or does he look at the impact of class and gender? I look forward to hearing your views on this! I believe Coates perceives the black body as being commodified beyond the law. While the corruption of the legal system towards the black body is certainly a main focus of his work, he also explores other avenues of commodification. One example of gender in which he explores is the situation of the white woman who pushes into his son (around page 94) that highlights how his son is commodified due to having a black body in a overwhelmingly white space. Coates notes that if they were in his “part of the Flatbush” (94) she would never touch a b lack child. Through this he explores the overriding theme of the black body which in one sense dictates his class as being lower than the white woman’s own – simply because he is black. This is really insightful post! Do you think that Coates seems to utilise this juxaposition to emphasise the “otherness” and “distancing” of the black body? Or do you think that in some way the cosmic imagery that he employs also serves to highlight Coates’ increased feeling of disembodiment? I’m interested to hear your thoughts! Thanks for the really insightful comment, and apologies for the late reply! I think the quotes you’ve picked out are very interesting. Simply put, I think Coates is using the cosmic language and imagery in both senses. Firstly, I believe it highlights the theme of the novel – Between the Wold and Me. He’s completely distanced from the world around him, and it is a coping mechanism for his situation. How else would one react? (with the exception of anger which will not ease the situation or any of the stereotypes. ) The black body is even distanced from itself in way – the corrupt legal system view it as a weapon by objectifying it and believing it to be criminal in all respects while in reality it belongs to someone very similar to them – they eat, they sleep, they drink. Secondly to Coates it almost came as a shock when he visits France and sees an angry Algerian taxi-man. He is utterly consumed by his fight for equal rights, and by that he becomes disembodied. He uses the spacial awareness almost as a macrocosmic view of America – that his battle is predominantly massive and a difficult battle at that. Hope I answered this faithfully! This got me thinking about how race shapes our identities. Coates’ pointing out of the religious and national identities of white people seems to imply that national or religious belonging should be more significant facets of our identities than our race. If whiteness is an ‘invention’, a term that has “no real meaning” (Coates 9), then what implication does this have for those who are black? Should their belonging to an ethnic minority be a shaping factor in their identity, or should the notion of race as a marker of identity be dismissed altogether? If Coates undermines systems of segregation altogether, then surely this undermines the sense of a ‘black community’ which he seems to revere in the text? I would be interested to hear your thoughts! I think Coates only implies that national identity and religious identity should be more significant facets of our base identity as a consequence of a diminshed racial identity. National and religious identities have their own set problems, jsut as racial identities do – however, Coates is deeply interested in the racial problem due to personal experience. You bring up a valid point here. In one sense Coates believes in being black – he has a certain unabashed pride in it (which he should) and in another sense, he dismisses it for the greater worlds that he becomes a part of – to paraphrase him, that couldn’t be dismissed by something as simple as race. I believe he wants a transcendent community that surpasses race. He’s open to change for what he believes needs to happen. Hope this answers, your questions. Thanks for the comment.